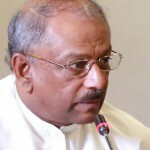 The Joint Opposition has made a formal request to Speaker Karu Jayasuriya, requesting him to review the manner in which the Office of the Missing Persons (OMP) Bill was passed in Parliament on Thursday. MP Dinesh Gunawardena has claimed that procedures were not followed and the Government has passed the legislation in violation of the Constitution. He also added that the Bill, which was passed in a hurried manner by the Government had not followed due procedure, thereby violating the standing orders of Parliament. Therefore, Gunawardena has requested Jayasuriya to review the manner in which the Bill was passed, and rectify the mistakes. On August 11, the Office of the Missing Persons Bill was passed in Parliament without a vote. The Bill was passed amidst continuing verbal protests by members of the Joint Opposition, who claimed that the Bill contained dangerous provisions and can be a risk to the national security and unity. Following the passing of the Bill, the United States was among the first to congratulate Sri Lanka saying that the Bill was an important and historic step in Sri Lanka’s pursuit of justice, reconciliation and accountability for all. The 20A: Why Minorities, Especially Muslims, Oppose? « Transformation From Constitutional Disequilibrium To Sustainable Equilibrium? Is it Possible?